Huawei P9 is a great phone, and in my opinion, it is among the best camera phones of 2016. If you want to go for a phone that is fast and also it has a great camera, then Huawei P9 is still an excellent choice. Thanks to the dual rear cameras of the P9, it can capture some great moments. Moreover, the rear cameras are Leica-branded! Now, we have started getting information about the Huawei P10. Yes, you read right. The Huawei P10 launch is going to be in the Spring, just like its predecessor P9. But, we have got some exciting news about the device today. HUAWEI P10: WHAT IS IT GOING TO FEATURE? As we know, almost every Chinese smartphone manufacturer is launching phones with curved displays and the list includes names like Xiaomi, Vivo, Elephone, etc. Huawei has already debuted in the list via its ‘Porche Design’ Mate 9. 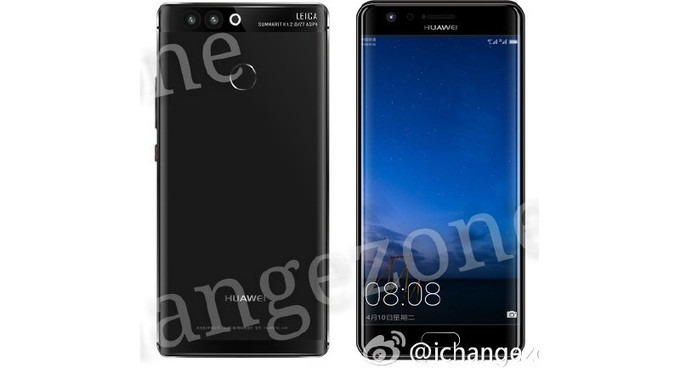 A user revealed via Weibo that the Huawei P10 too is going to feature a dual curved display. Not just this, the user has also told that the phone is going to come with Wireless charging support! In previous Huawei phones, we saw that the placement of the fingerprint scanner was on the rear side. But, it seems things are going to change as we will see a front-facing fingerprint scanner on the P10. As up to now, the ‘Porche Design’ Mate 9 is the only high-end Huawei phone to feature a front-mounted fingerprint scanner.